If there were labels for Pinterest users, I would be labeled as a super-user. I have 71 boards, y’all. And I don’t just pin with reckless abandon. I pin with careful consideration so I don’t “junk-up” my boards. I need to remember these things and I like having a visual tool to help me organize the beautiful, funny, and useful things that I’m totally going to return to for inspiration…at some point. But seriously, I have used Pinterest to do a lot of useful things (like plan baby showers). Clearly psychologists should ask their patients to see their Pinterest boards to understand the depths of their soul. So here are my last six pins and what they say about me. I’ve always loved ice cream, but never more than right now. I can and practically do eat ice cream almost every day (I eat low-fat popsicles and individual tiny containers to keep the gluttony down to a minimum). And those of you who have been pregnant will agree, when a pregnant woman gets a craving, it seems like a life or death situation that must be solved immediately. 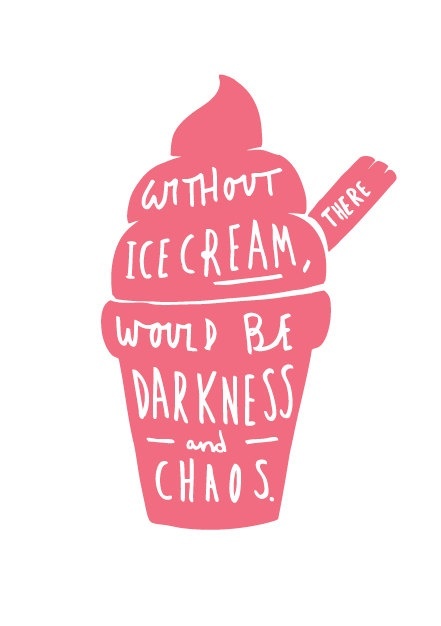 So yeah, without ice cream, I probably would feel like life is full of darkness and chaos. Ice cream is the highlight of my day. 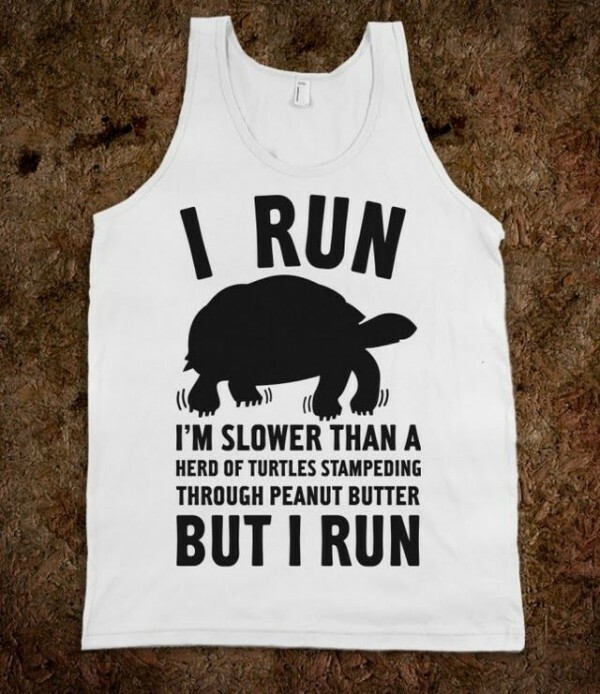 I need this tank. I like running (when I’m not pregnant) but secretly giggle at people who take it a little too seriously. I also really like to poke fun at myself. And what’s funnier than comparing yourself to a poky turtle stuck in peanut butter? As I’ve mentioned before, one of the things that has keep me sane, and not focusing on the fact that I could have this baby at any moment, is fall fashion. I absolutely adore looks that take something from the summer (like this dress) and make them appropriate for fall. As I’ve explained to Brad many times before, this is why buying cardigans is an investment. They really stretch your wardrobe. 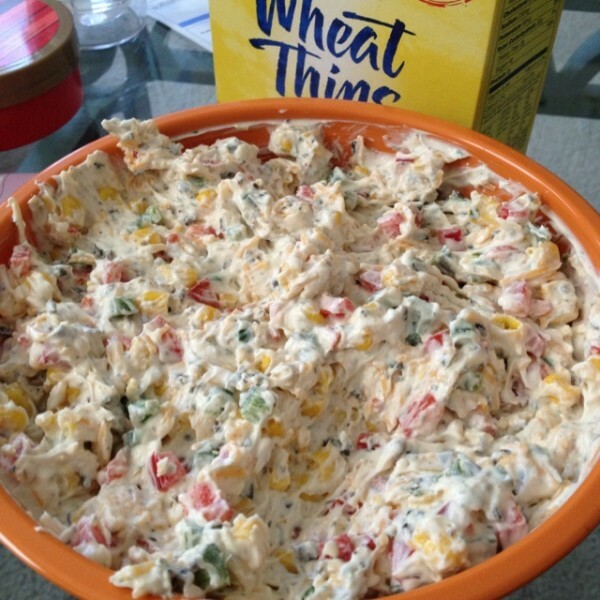 I pinned this dip labeled “Skinny Pool-Side Dip” because it looks delicious and fatty, but it has the word skinny in it. That’s enough to win me offer, folks. If you click on the “pin here” link, it will take you to the ingredients. However, if I were to make it, I would omit the olives (yuck), and maybe add some Greek yogurt to make it even more healthy and dilute the cream cheese a bit. I think the yogurt would also make it easier to dip without breaking your chip. Isn’t this hilarious and genius? I’m already pinning ideas for ways to keep my kids busy even though I only have one in utero. I remember being bored as a kid and yes, being a little bored is good for the imagination. But if it’s between letting my kids watch TV and play video games or coming up with things for them to do, I’m definitely turning to some of the ideas I’ve found on Pinterest. 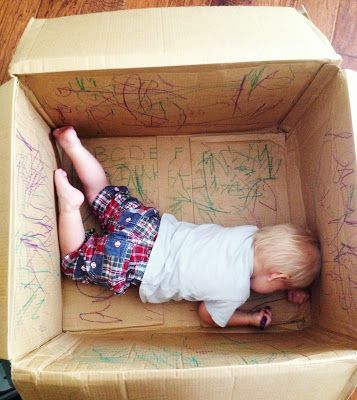 Besides the fact that letting your child draw in a cardboard box is fun for them (I think it would be fun, anyway), it keeps your kid(s) from getting markers in other non-marker appropriate places like the floor or the wall. And, you know exactly where your kid is at all times. They can’t get in trouble in the box. Okay, so maybe you peep into the box and find that Junior has decided to draw all over himself as well. I can’t help you there. Just make sure you give him water-based markers. This is a gift-giving idea and one of these days I swear I’m going to whip out these ideas to give my friends and family wonderfully creative gifts. Basically, you make chocolate chip cookies, but instead of baking them, roll them into balls, place them in a plastic takeout container, and freeze them. I love this idea, because I hate having a whole batch of baked goods in the house. Rather than savor them, I tend to eat all the cookies within a couple of days. I’ll be all like, “I’ll eat six cookies and then I just won’t eat dinner,” or just can’t eat dinner. So responsible adult of me, I know. My other trick is just to give them all away. 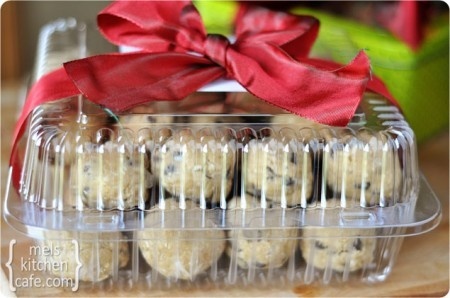 But with this particular idea, your gift recipient can take out a cookie or two (or more) to bake at a time. So they can have homemade cookies whenever they want. This doesn’t get around the fact that I’m happy to take out frozen cookie balls and eat them raw, but it’s at least a bit of a deterrent. On a completely different note…I think it’s really interesting that there’s this whole idea that Pinterest is a picture of unattainable lives that make people feel inferior and like less of a woman because they haven’t done everything on their DIY board. Call me practical, but I’ve never thought that the people I “follow” actually do all these things. God knows, I don’t. I’d love to hear your own thoughts on the inferiority complex Pinterest is “giving” women. And what does your Pinterest pins say about you? I’m obviously a wealthy well-dressed, very organized woman, with more children than the lady in the shoe, who is a professional baker when she’s not doing herculean workouts. 😉 Oh, and I have a great sense of humor. In fact, only one of these is true. I don’t have nearly as many boards as you but I used Pinterest to plan a baby shower too, for my best friend’s sister. Of all the things I pinned, I think I only used one item LOL… but there are more showers in my future, I know.